Everyone has a base level of happiness. If you win a lottery, you may be very thrilled for a brief time, but you will eventually return to your base level of happiness. The same is true if you have a misfortune or a serious accident. After you heal, you will return to your normal level of happiness. Can this normal level of happiness be moved higher? Yes, it can. But the paradox is that the higher we go in life, the reverse seems to happen. The level of happiness falls rather than rises. Successful people often feel a sense of loneliness and alienation. This brings up the question that is progress in life worth the drop in the level of happiness. In this environment, there is a lot of pressure to process the daily challenges that life throws at us every day. In fact, we need many technology solutions to help us process this daily load of challenges. 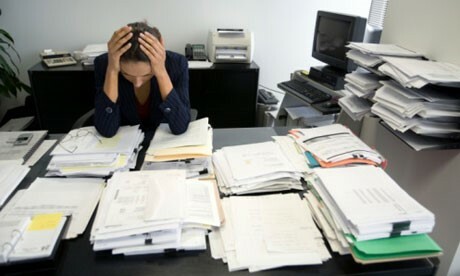 Most people are so overwhelmed by this overload that they have almost no time or energy left to take on anything new. Upgrading your processor. This is the time to examine the processor that we are using to process the world. If we are to have any chance of getting ahead, we need to periodically upgrade our processor. Unless upgraded periodically, our processor becomes overloaded and obsolete. As such, living in today’s world, with yesterday’s processor, we have little or no chance to feel happy or lead a fulfilled life. The really sad news is that most of our processors are developed in the first 10 years of our life and then used without being upgraded for the rest of our lives. During the subsequent decades of our lives, we use the same processors in an ever-changing world, because there are no college or formal educational programs that can teach you to upgrade your processor. We at SOS have developed a program, which can teach you to renew your processor to meet the challenges of technology and change. We believe that the program will help you learn how to get what you want out of life. This includes getting ahead in your professional life, getting the big jobs, getting the big homes and the new cars. But instead of getting these material trappings at the price of feeling lonely and alienated on the inside, it will teach you how to get the most elusive gift of life—happiness. However, you must upgrade your processor regularly. The applications for a better processor are numerous. In a corporate setting, it will bring out the creativity in the work force and result in less turnover, better competitiveness. We believe that a less frustrated work force will produce much better results and provide a competitive advantage. A higher level of happiness is a byproduct of more fulfilled people.